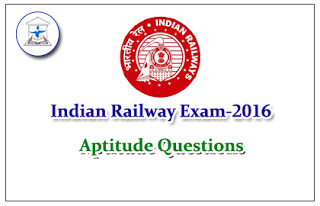 Dear Readers, Here we have given from Aptitude Questions for Railway Exam 2016. Candidates those who are all preparing for these exams can use this material. For simplifying an expression containing various types of operation, the order of operating various operations, should be strictly followed as accordance with. ThirdOperation of ‘Of ’ is done. SeventhOperation of ‘Subtraction’ is done. 2). (14 × 14 – 46) / (11 × 6 – 42) = ?